-According to the Pharmacy Technician Certification Board, in 2017 only 58% passed the certification exam. -Pharmacy Technicians are growing high in demand at an above average rate of 12% by 2026. -In the last decade, there has been a significant 49% increase in the number of pharmacy technicians. 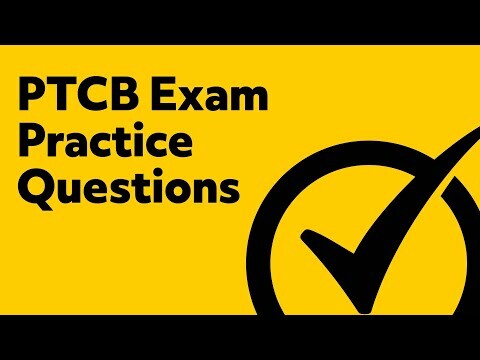 Take our PTCB Practice test to be prepared for this exam. The test consists of 90 multiple choice questions that are divided into nine knowledge domains and areas. 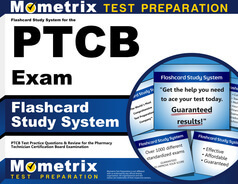 The PTCB certification exam is a computer-based examination administered nationwide. When you go to register for the PTCB exam, you will be asked to select a convenient location from a list of available Pearson VUE test centers. During the CPhT exam, you are given a total of two hours to answer each of the 90 questions. Ten minutes are allotted for both a PTCB practice exam tutorial and post-exam survey. During the pharmacy tech certification tutorial, you will have the opportunity to learn the pharm tech exam format and how to navigate the testing screen. It is recommended to take pharmacy technician practice tests to familiarize yourself with this format prior to testing day as well. The majority of the time, one hour and 50 minutes, is given to respond to the pharmacy tech exam questions. For each PTCB review question, you will be asked to select the best answer from four given possible answer choices. These pharmacy tech study questions are divided into nine different knowledge domains and areas that have been designed by pharmacy content experts to test potential candidates on the skills required for the position of pharmacy technician. The PTCB exam contains 90 multiple-choice questions. This includes 80 scored questions and 10 unscored questions. Each question will contain four possible answers. Are you allowed to use a calculator on the PTCB national certification exam? You are allowed to use a calculator on the PTCB exam. However, you will not be allowed to bring in your own calculator. You will be provided an erasable board and a handheld calculator. The application fee for the PTCB certification and to take the PTCB exam costs $129. 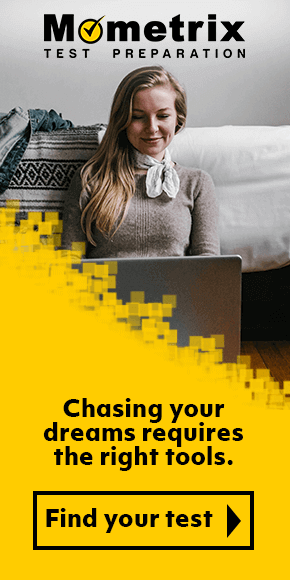 You are given up to four chances to pass the PTCB exam. If you fail the PTCB, you can reapply and pay for the exam for the second or third try 60 days from your most recent attempt. If you fail the third attempt, you will be required to wait 6 months before attempting the exam again. After taking the PTCB exam, it takes about three weeks for you to receive your office score report. You will receive your certificate and wallet card four to six weeks after the exam. To become a pharmacy technician, a high school diploma and pharmacy technician certification is usually required. Many pharmacy technicians learn through on-the-job training. Many states may also require a pharmacy technician to have a license or certification. If you decide to attend classes to become a pharmacy technician, some schools may have programs that can take as little as 15 weeks or up to two years if you wish to obtain an associates degree. Knowledge Domain I will test your mastery of drug interactions, dosages, names of pharmaceuticals, side or adverse effects and more for pharmaceuticals. This Domain accounts for 13.75% of the PTCB exam. Knowledge Domain II, Pharmacy Law and Regulations, covers topics regarding hazardous and controlled substances, record keeping, laws and regulations. This content discusses critical information pertinent to MSDS, DEA, HIPAA, OBRA’90, OSHA, USP 795, USP 797, TJC, BOP and more. This Domain accounts for 12.50% of the PTCB certification exam. Knowledge Domain III will test your ability to answer questions about infection control, the sterile, non-sterile compounding processes, handling requirements and more about compounding. This Domain accounts for 8.75% of the PTCB exam. Within the Medication Safety Knowledge Domain, you will be asked questions about safety strategies, look-alike medications, precautions, error prevention strategies and more. This Domain accounts for 12.50% of the PTCB exam. Questions in Knowledge Domain V will cover communication, productivity, risk management, infection control, quality assurance and other topics necessary for problem resolution, error prevention and customer satisfaction. This Domain accounts for 7.50% of the PTCB exam. The Medication Order Entry and Fill Process Domain will test your mastery of the order entry process, including, but not limited to intake, data entry, labeling and packaging requirements and the dispensing process. This Domain accounts for 17.50% of the PTCB test. Within the Pharmacy Inventory Management Domain you will be asked to respond to questions concerning the function and application of NDC, storage requirements, removal and other topics regarding inventory management within the pharmaceutical environment. This Domain accounts for 8.75% of the PTCB exam. The Pharmacy Billing and Reimbursement Domain will encompass questions that discuss third party resolution and reimbursement systems, coordination of benefits and other topics within the schema of billing and reimbursement. You will need to be prepared to answer questions about HOMs, PPO, CMS, PBM, home health and more. This Domain accounts for 8.75% of the PTCB exam. Knowledge Domain IX, Pharmacy Information System Usage and Application, will present questions that ask you about databases, documentation management and pharmacy-related computer applications for documentation. This Domain accounts for 10.00% of the PTCB exam. Of the 90 multiple choice certified pharmacist technician questions, only 80 are scored. Ten of the questions are unscored, but these unscored questions are not identified. They are also randomly distributed throughout the PTCB exam to prevent identification of the unscored PTCB questions. Your final score will not be influenced by these unscored questions, but will be based on your answer selections for the remaining 80 scored exam questions. To get a feel for how the examination will be set up, be sure to test yourself with a PTCB practice test before your test date. Passing Scores are 1400 or above, with a range of possible scores between 1000 and 1600. This score has been established by a panel of content experts based on a modified-Angoff method. Through this method, the panel of experts is required to evaluate each individual test item to determine what percentage of already qualified pharmacy technicians would be capable of correctly responding to the question. These estimates were then averaged to come up with the passing score. All scores are scaled to compensate for ranging difficulties on the exam from year to year. Your PTCB exam score report will reveal score information for each of the nine knowledge domains. This information should be used to evaluate your strengths and areas for improvement. In the event that you do not receive a passing score, you will have the opportunity to retake the examination. In this case, you should carefully review your exam scores to identify which knowledge domains were more difficult so you can revisit these topic areas in your pharmacy technician study guide. You will be able to retake the exam 60 days after your testing date for your second and third attempts, but will be required to wait six months for each retake thereafter. If you do not successfully pass the PTCB exam after four attempts, you will not be able to apply until you complete and provide evidence of preparation activities. As the exam is very accurate, you should anticipate putting in extra prep work in the event of a retake. In this case, review content with pharmacy tech practice tests. During the pharmacy technician exam, you are able to leave comments to challenge any questions that you feel may be inaccurate. You are also given 30 days following your examination date to submit a challenge in writing to the Certification Appeals Procedures. During scoring, a panel of content experts will review your responses and comments. In rare situations, these reviews may result in different preliminary and official score reports. In order to register to take the examination, you will need to have your application approved. Once you have been approved, you will be authorized for 90 days to schedule to take the PTCE. To schedule an appointment time, you can either register online or call Pearson VUE. The examination is administered by Pearson Professional Centers throughout the nation. You will receive a confirmation once your appointment time has been sent. There is a $129 application fee for the pharmacy technician test. After you have scheduled to take the exam, if you need to cancel or reschedule your appointment you will need to contact Pearson VUE. There are no fees for cancelling or rescheduling, but you must do so at least 24 hours prior to your appointment time. If you fail to do so, or do not appear for your appointment time, you will forfeit all exam-related fees. On your designated testing day, you should plan to arrive 30 minutes prior to your appointment time. You will need to bring an approved form of identification with you to the pharmacy certification exam site. You will not be permitted to take the examination without proper identification that matches your name as it is written within your PTCB Account, so be diligent in checking your identification when you register. Most personal items must be kept in a locker and will not be permitted within the testing room. You may not bring a personal calculator as one is built into the examination; however, a testing center staff member may be able to provide a physical calculator at your request. Bringing prohibited items into the testing room will result in your dismissal from the testing site and forfeiture of all fees. Before you begin the examination, you will be asked to read and agree to all National Pharmacy Technician Certification policies, such as the Code of Conduct and Test Center Rules. You will then be presented with an optional tutorial. If you are not familiar with the layout of the PTCB exam, this is your opportunity to become accustomed to how the test navigates and how selecting an answer choice works. However, it is recommended to familiarize yourself with the test format prior to taking the exam by taking PTCB practice tests. While you prepare for the examination, you should test your mastery of the Knowledge Domains and Areas by taking multiple free PTCB practice tests. Through review of your responses on these PTCB practice exams, you will be able to identify areas of improvement. You should then proceed to review these content areas with your PTCB study guide. Mometrix Academy is a completely free pharmacy tech test resource provided by Mometrix Test Preparation. 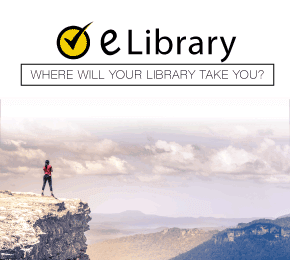 If you find benefit from our efforts here, check out our premium quality PTCB study guide to take your studying to the next level. Just click the pharmacy technician book link below. Your PTCB book purchase also helps us make even more great, pharmacy technician practice test content for test-takers. Our customers love the tutorial videos from Mometrix Academy that we have incorporated into our PTCB test study guide. The PTCB study guide reviews below are examples of customer experiences. Reading this book made me realize, how much I missed out on information from other PT books! I give this a 5 star, I love how they gave the information from all the different sections you need to learn. It helps you build confidence and tells you directly what you need to know. Loved it. I am definitely seeing an improvement within my knowledge upon starting reading this book. It has helped me get a better understanding on a lot of what goes on in the pharmacy. I was struggling with the math and this book helped me get on track with how it all works. I would definitely recommend this book to a friend. I had previously taken a class to prepare for the certification exam at a local college, but needed to review the information before taking the actual exam. I found the study guide a very helpful tool that covered all of the necessary areas of study to help me do this. I feel much more confident about passing this test after reviewing the information in this book. The coverage of topics in the book is exactly what was covered in various courses that I took at Rasmussen College, where I was awarded my Pharmacy Technician diploma. Your product gives me the confidence that I have selected the correct material to help me prepare for and pass the PTCB Exam. I’m very happy with my purchase of this product. It is very informative and breaks down the study process. I’m sure the practice exams included will be of great help to know what sort of questions to expect on the actual exam. From what I can tell this book is the perfect study guide for me. I’m so excited to start studying. The organized format with bullet points is perfect for my way of learning, and even better it’s all in one book. Great book ! Has a lot of information in it along with a practice test! I am going from no knowledge to this and it was an awesome help!! I love this book it’s well written and detailed. I could understand it better before the things and topics that I don’t know I cannot figure out it how to do them or even understand them, with this book when I start studying and reading them I can slowly understand all of the stuff I’ve been studying. Helping me a lot so far.